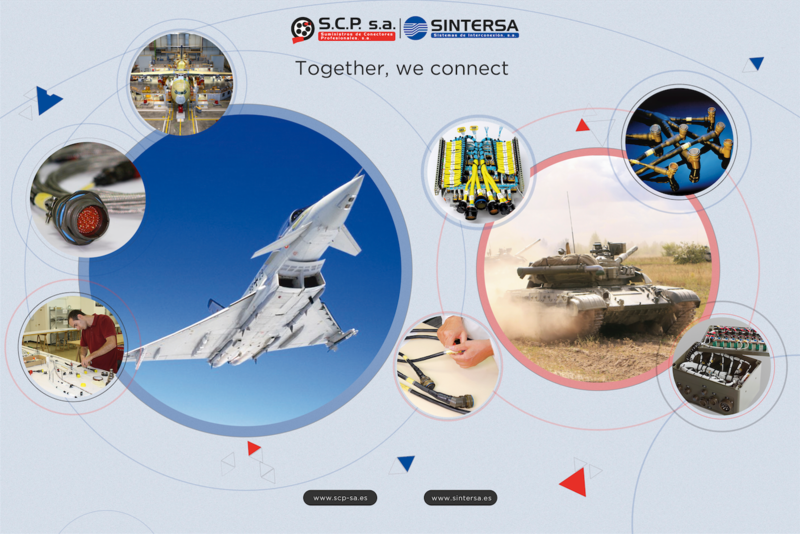 SCP/SINTERSA designs, manufactures and supplies electrical interconnection components and subsystems for professional applications in severe environments. Our team have more than 30 years of experience in aerospace, military, naval, railways & industrial markets. • COMPONENTS: distribution and manufacturing of connectors, fiber optic solutions, custom cables, heat-shrinkable elements, crimping tools and accessories. • PRODUCTION: design and manufacturing of wire-harness and electric subassemblies, of aeronautic and military control units, communication racks as well as test benches. • INSTALLATIONS: aeronautic installation and integration in military vehicles. Production facilities in Madrid, headquarters (3500 m²) and Seville (2000 m²), sales offices in Barcelona, Lisbon. Labor force: 240 employees supporting 603 active customers. To be the European Specialists in Connectors and High-Performance Interconnection systems. To serve the Integrators and Manufacturers of Aerospace, Military, Transport, Energy and Communications systems. To Provide our customers with efficient and high-value electrical interconnection solutions at the minimum operational cost. Specialization: we promote a culture of continuous learning throughout the whole company on high-performance electrical interconnections, its applications and processes, regulations and certifications. With our know-how we endeavor to reach further, and go beyond expectations. Trust: our organization is aligned with the client’s needs, focused on establishing lasting and trustworthy relationships. We fulfill our commitments through effective and professional team work. Integrity: we hold respect for people and standards, compliance with laws, ethics and responsibility. These standards guide our actions and relationships with our customers, suppliers, collaborators and social agents. We pursue sustainable development by balancing innovation with solid approaches, based on cost effectiveness and financial stability.